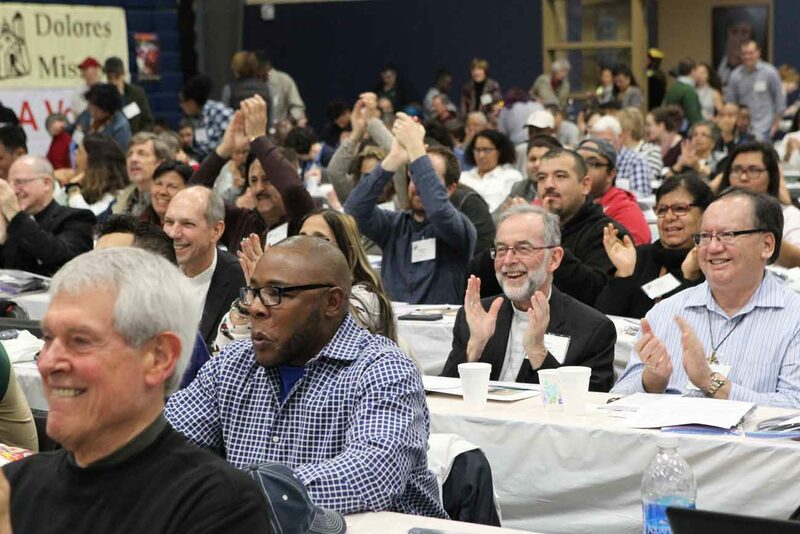 MODESTO, Calif. (CNS) — Pope Francis congratulated more than 600 representatives of grass-roots organizations for responding with mercy to society’s hurting people during the opening of the four-day U.S. regional World Meeting of Popular Movements. Pope Francis’ interest in promoting the work of grass-roots organizations can be traced to his time as cardinal in Buenos Aires, Argentina, when he often visited priest friends, struggling families and low-paid workers in poor neighborhoods spread across the city. Since 2014, three international World Meetings of Popular Movements have been held — two in Rome and one in Bolivia — to give people working to make life better for marginalized communities. “Pope Francis wants us to recognize the structure that create exclusion in society,” the cardinal explained. As the meeting began, the Rev. Trena Turner, who works alongside her husband at the nondenominational Victory in Praise Church in Stockton and is a leader in the community group Faith in the Valley, told the audience that 25 people who originally planned to attend the meeting decided not to risk traveling to Modesto. She said they feared being arrested and deported under the federal government enforcement efforts against undocumented people. As she called each person’s first name, the crowd shouted “Presente!” to recognize their participation. Modesto was chosen for the papal-inspired meeting because of its location in California’s fertile Central Valley, where on a daily basis people confront each of the topics to be addressed at the gathering — land, labor, lodging, racism and migration.